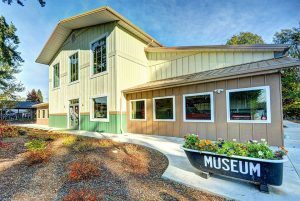 Come see the Marysville Historical Society Museum! The Gehl Home (located at Jennings Memorial Park) is open for tours Memorial Day Weekend to Labor Day Weekend, 12 to 4 p.m. We also conduct special tours upon reservation, contact our office at (360) 659-3090. 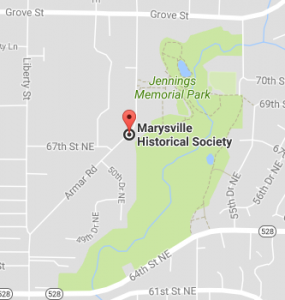 The Marysville Historical Society is dedicated to the discovery, preservation, and displaying items relating to the history of the Greater Marysville, Washington area. The true value of history lies in what it tells us about the world in which we live. What greater gift can we give to future generations than a special place to preserve the past for the greater good! General Membership Meetings are typically the 2nd Monday of the month at 6 p.m. Click here for more information. Please call the museum with any questions. Board Meetings are typically the 4th Wednesday of the month at 6 p.m. If you are interested in attending, please call the museum for more information. Be sure to follow us on Facebook for current updates and information.